Well, I now think I've got a plausible scenario as how a bottle of powdered rhubarb extract from Terry's of York ended up in a pharmacy in country Victoria. 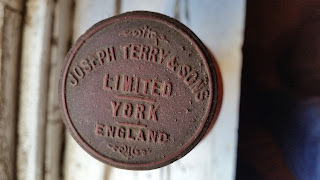 Having lived off Bishopthorpe Road in York in the early nineties I'd associated Terry's with chocolate and especially the smell of chocolate orange on winter's morning in the run up to Christmas, and I was tending to assume that the bottle had been reused and had possibly held cocoa powder or something similar originally. But overnight I had a series of incredibly useful tweets from the York Cocoa House. 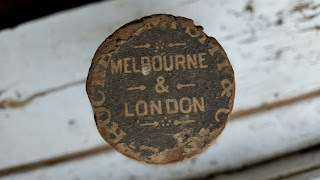 and what's more Terry's were entering trade competitions and winning prizes, including both Melbourne and Adelaide. 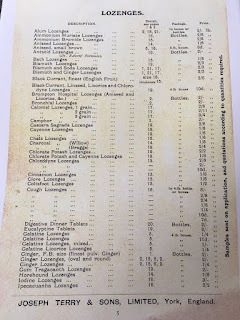 The herbal lozenges allowed them to move into confectionery, but they only really became serious chocolate makers after 1908, meaning that before then Terry's were confectioners and herbalists. Well twitter is a wonderful thing. Initially I thought it was late Victorian or Edwardian, but how it came to be on a bottle of pwdewred rhubarb extract was a mystery. Terry's were chocolate makers, not rhubarb purveyors. Wikipedia gave me a likely start date of 1895, being the year the company incorporated under the name, but the end date was a bit of a mystery, so I tweeted the picture to see if anyone had any ideas. Well, a former colleague picked this up and forwarded the tweet to the Borthwick Institute at York. The Borthwick didn't hold the Terry's archive, but they passed it on to the York Castle Museum, who confirmed the 1895 start date and the York Cocoa House, who added that Terry's didn't become serious chocolate makers until 1908.
well this is the bottle. Since I found the Terry's top I've found evidence that bottles were reused and relabelled, so I'm guessing the bottle that either the bottle originally held something else, or else the top was reused to replace a missing top on a jar. Two weeks in and what have I learned? which is probably newer than 1895 as Terry's didn't legally incorporate under that name until then, but stylistically I suspect that the top doesn't date to much later than 1895. 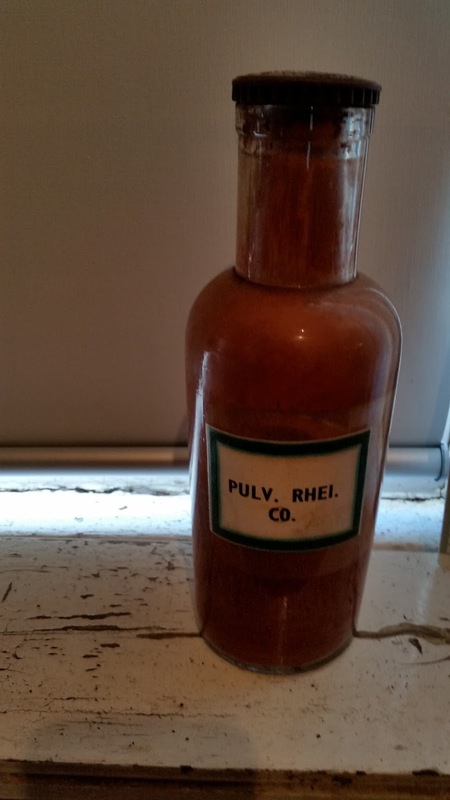 The rhubarb extract may not have been its original contents - there's some evidence of bottles, especially the older ones, of being reused and relabelled. 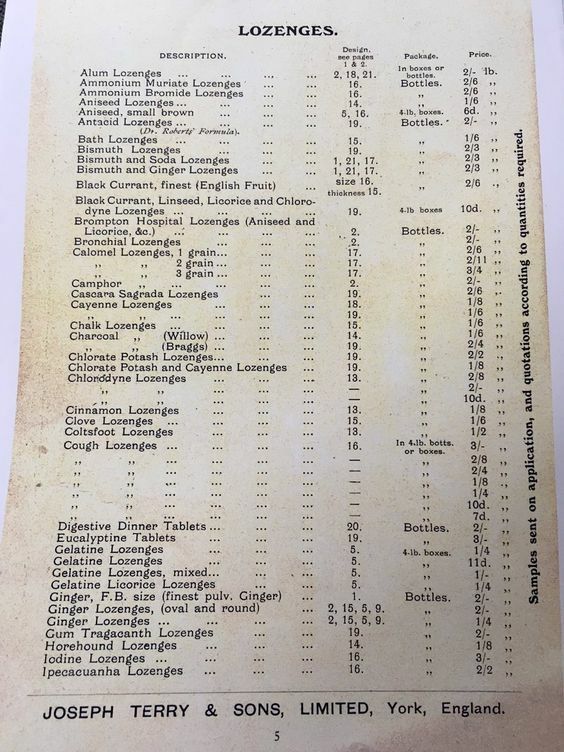 There's also a little bit of social history, with a few bottles from Burgoyne, Burbidges and co, who were once a chemical supplier in the east end of London, but who are now a major Indian chemical supplier headquartered in Mumbai. Interestingly, the old London factory is still there if you want to take a look. Bottles like this turn out to be quite rare. There's an example in the Powerhouse museum in Sydney, which has its original label. Doing an image search in google for Jacob Hulle turns up examples for sale to collectors in Australia, New Zealand and the UK. The name Jacob Hulle is a bit of a gift, eminently searchable for. 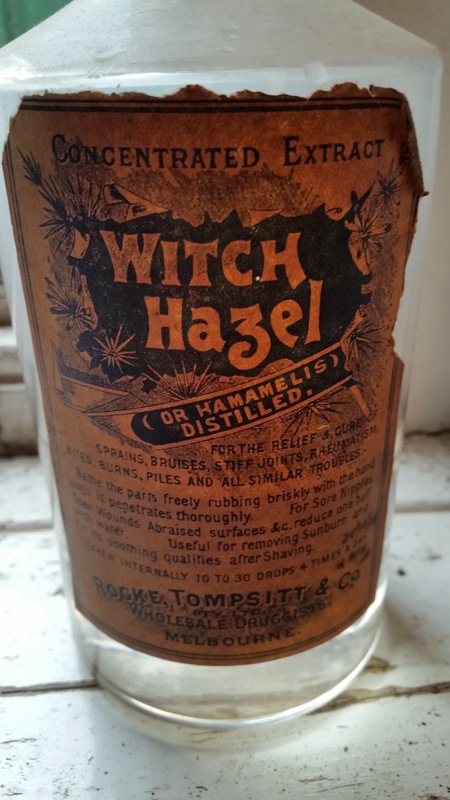 Hulle was associated with a company that later became Whiffen and co. 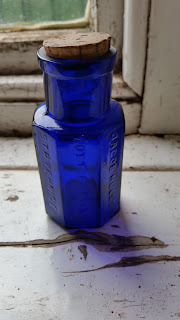 Given that Hulle retired in 1868 I suspect that the bottle probably dates from the 1860's, as while it's a geometric shape and has a warning embossed on the bottle, it lacks the vertical ridges that were commonly embossed on poison bottles later in Victorian times to make them easier to identify in candlelight. Quietly amazed as to how much of my life has been about file transfer, about getting data from device A to device B. First of all it was kermit (and its z, x, and ymodem bretheren). Then it was VMS's non interactive file transfer, then good old unix ftp with a bit of uucp on the side, followed by rcp and rsync, plus the joys of http upload. When is free wifi not exactly free? Last week I had the pleasure of spending a freezing morning in Albury to get my car serviced. The Library and their zippy wifi doesn't open until 10, and I had to drop the car off at 8.30, so I had some time to kill, and after I'd been to OfficeWorks and JBHiFi to look at computers I either couldn't afford or justify, it was time for a coffee so I headed off to the Myer Centre, a small shopping mall with some decent coffee shops, for a coffee and to thaw out before heading over to the library. Now, the Myer Centre has its own free wifi provided by the eponymous store of that name rather than Albury City's free wifi. And it used to be that when you logged on to check your email, you did the standard thing of clicking in a browser window to promise to be a good boy, and that was about it. Not this time. The wifi solution had been outsourced to Lokket, who wanted you to login with either a Google or a Facebook id to get onto the wifi. Well I decided I'd rather not, and not having a suitable dummy account to hand I closed my laptop, drank my coffee and went elsewhere. Now, Myer's have a perfect right to do what they want with their free wifi service and if they think that they can get extra sales by targeting their customer base like this that's their business.